Guillermo del Toro Announces Tales of Arcadia Trilogy Series! Mariah Carey’s All I Want for Christmas is You is debuting on Blu-rayTM, DVD, Digital and On Demand on November 14, 2017 from Universal 1440 Entertainment, a production entity of Universal Pictures Home Entertainment. 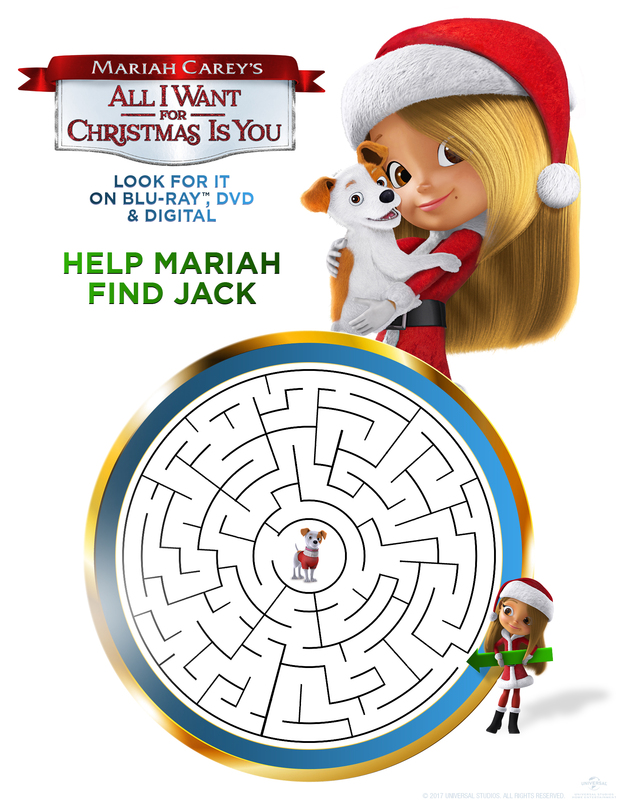 Narrated and executive produced by Mariah Carey, the animated family film follows little Mariah as she chases her dream of having a puppy of her very own, making her ultimate wish for Christmas come true. Showcasing stunning visuals in beautifully realized CGI animation, the film showcases songs from Mariah Carey’s immense discography including the iconic song All I Want for Christmas is You, along with two more of the pop queen’s holiday classics Miss You Most (At Christmas Time) and Christmas Time Is In The Air. To download this free activity kit simply click the image below and save the PDF to your computer. Then Print and Create to get ready for the Holidays with Mariah Carey! Be sure to grab the Free Christmas Maze from the “All I Want For Christmas Is You” Activity Website.